TWOWEEKS News: We are building a house at Lily of the Valley! 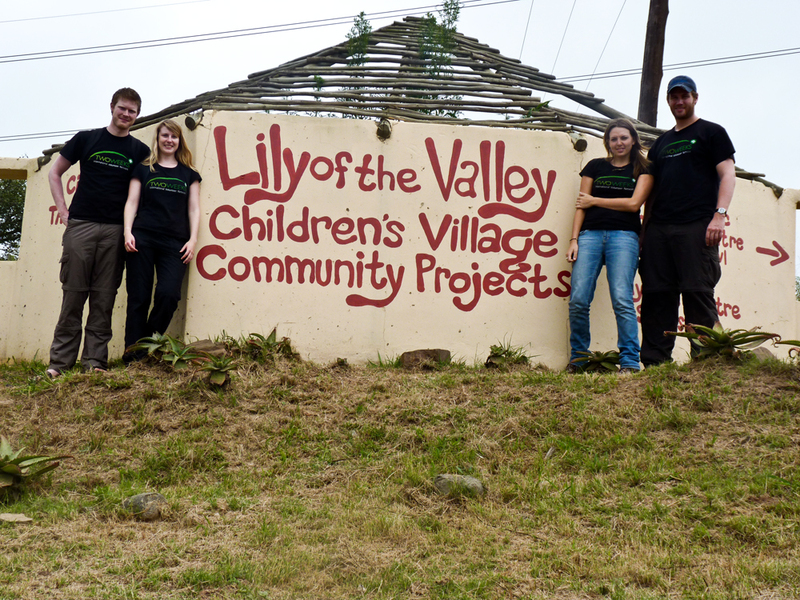 Aside from the usual tasks at hand on our April 2012 trip to South Africa my other focus on the trip was planning for the future and our ongoing partnership with Lily of the Valley Orphanage. As time has gone on we have rolled out more trips and had more and more volunteers donating their time and sharing their skills with the team at Lily and communities in the surrounding townships. However, as Lily has also expanded, the pressures on accommodation have become more acute and so TWOWEEKS is now building a house there. 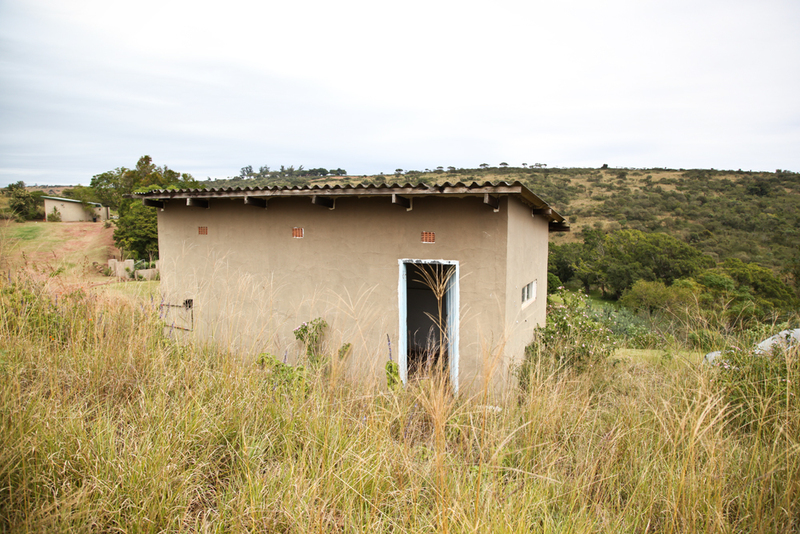 Our very first TWOWEEKS home that will accommodation both long and short-term volunteers! Our aim is that this will not only serve as a place for our volunteers to stay whilst they are working at Lily but also serve as a base for this region as requests for help from other volunteers and NGOs has increased in recent months, if not years. TWOWEEKS has been working with Lily for over six years and our team and volunteers have enjoyed our time working with the staff and volunteers at Lily and within the surrounding communities immensely. We initially started out as a couple of doctors looking after the children at the orphanage but as time has gone on and our remit and vision has developed and extended we have found ourselves being approached by other organisations, charities and NGOs in the Durban region. They have all asked us to assist them with their needs and it is part of the TWOWEEKS vision to work with organisations that have sustainable and ongoing enterprises and reach out to the community. With our progression and success, issues with accommodation have arisen which have meant we have had to turn volunteers away due to a limited capacity to accommodate them at Lily. So, with this and other issues in mind we would like to address this by building our very own accommodation – our first ‘TWOWEEKS Home’. This will serve as a base for our volunteers to stay in, to assist not only with the children at Lily of the Valley but also with other partners and organisations in the surrounding areas. 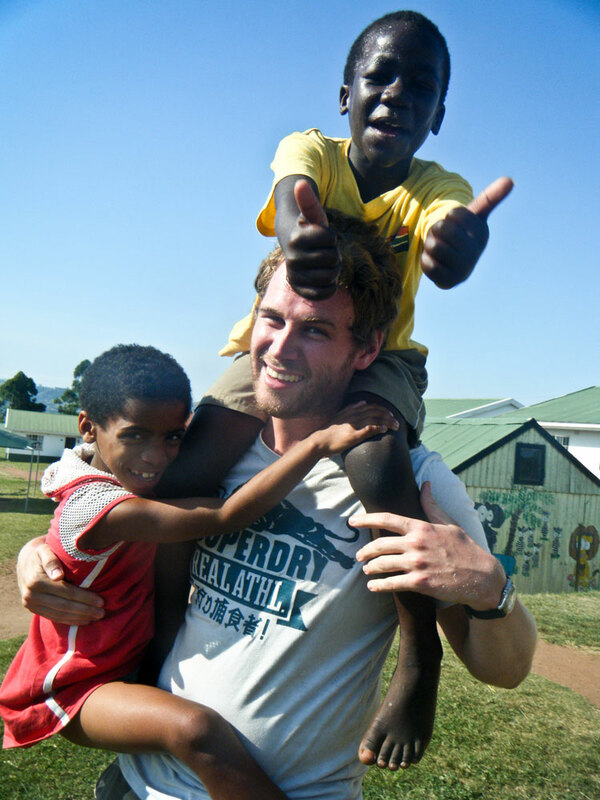 Our vision is to develop a student volunteer and elective program for students training in different professions. These would initially include medical, nursing and dental students who need experience in a different environment but who could also assist the staff and volunteers at Lily and contribute to sustainable enterprises. 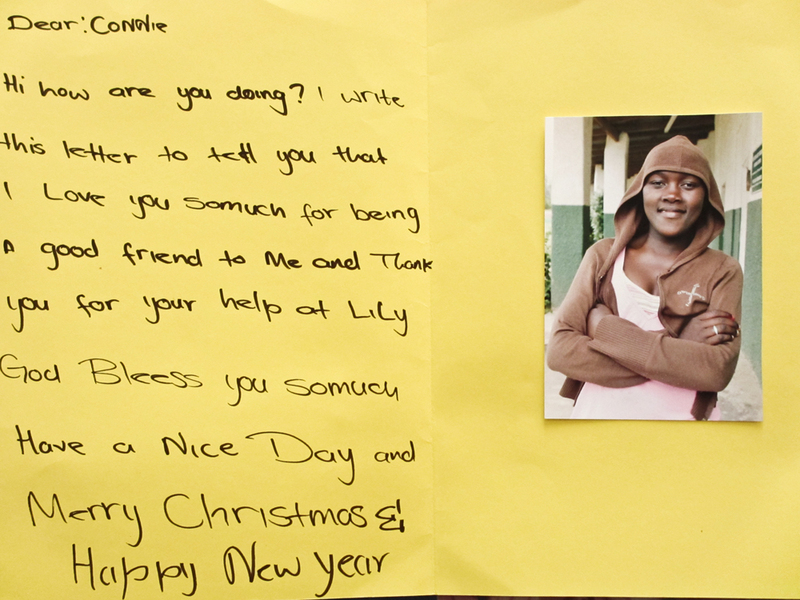 TWOWEEKS now proposes that we build a dedicated home at Lily for future volunteers – both long and short term. We will be responsible for the fundraising to build and furnish this house. We will seek contributions from elective students and corporate sponsorship to pay for overheads such as running water and electricity so that Lily does not incur any additional costs. Back in 2010, I was part of a team that had medical volunteers and we did our usual trip into the community to see the sick and dying. One of the people we saw was an elderly lady and her mature son who had severe learning disabilities. He was in his 30s and this poor lady was struggling with his care. She loved her son dearly but found it difficult to ensure that he did not wander away and cause himself harm. He also suffered with epilepsy and so ensuring this added issue did not lead to serious harm caused her to lock him away in a small wooden shed to ensure that he did not get lost and that she could care for him as she herself did not have the best mobility and health. We obviously were all affected by what we saw and other members of the team had seen similar cases such as this in the community. Other situations became evident when volunteers assisted in the local township schools and saw mature adults with learning difficulties put into corners and left to their own devices (with supervision to ensure that they did not come to harm). However, there was no dedicated therapy or education and so we quickly concluded that a teacher with special needs training and assistance from an occupational therapist would help people in these situations immensely. They would not only provide assistance for the time they were there, but also try and impart some knowledge of even simple things that could be done by teachers and parents/carers to help make these individuals lives better. Remarkably, on our return back to the UK we held an introductory meeting soon after and a teacher with special needs experience attended and expressed an interest in joining the trip going out later that year. However, after all was said and done, there was not sufficient accommodation available at Lily at that time and we were unable to utilise this lady’s skills. It was an opportunity lost and it was at that stage that we realised that if we are to continue to develop what we are doing and expand, we need a more long-term solution for our accommodation and storage of equipment. Lily has their hands full feeding and providing for their 126 children and we have all felt the effects of the recession so money to build further accommodation is limited. We have decided to do it on their behalf and raise the money ourselves. We have the site and land set aside for us and we also have the plans and vision of building a 6-bedroom property. Now we need £10,000 to complete it. Please join us in completing this task so that more people can go and help. Any ideas or extra pairs of hands to help us with our cause would be very much appreciated.Join us and turn this house into a home, a TWOWEEKS home. Images of the April 2012 trip can be found on our Facebook page. 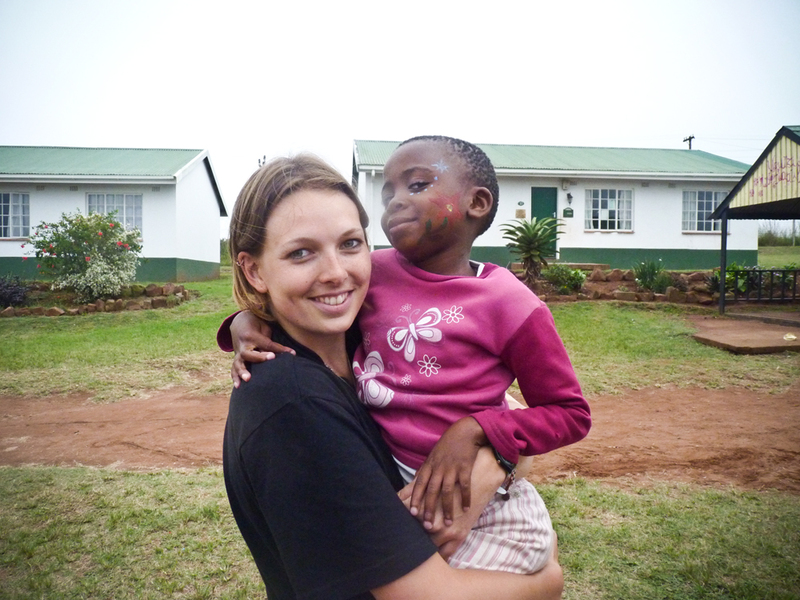 April heralded the first trip of 2012 for TWOWEEKS to Lily of the Valley in South Africa. Our team comprised of Jennifer Tomlins, Mimi Hou, Davinia Powell and myself Karen Patten. Ying Teo was to join the team a week later due to work commitments. We arrived on the Sunday and by Monday the team was getting stuck in to their planned activities. As ever, it is always a pleasure going back to Lily of the Valley and seeing the children there. However, on this trip I was struck how some of our ‘sweet Lily babies’ have now grown into young adults. This was especially noticeable when I showed some pictures to some of the volunteers and we saw how small the children had looked when I first went to Lily in 2005. Back then our focus had been wholly on reviewing the health of the children and ensuring that all medical complaints were identified and that those with HIV/AIDS were on the correct medication. 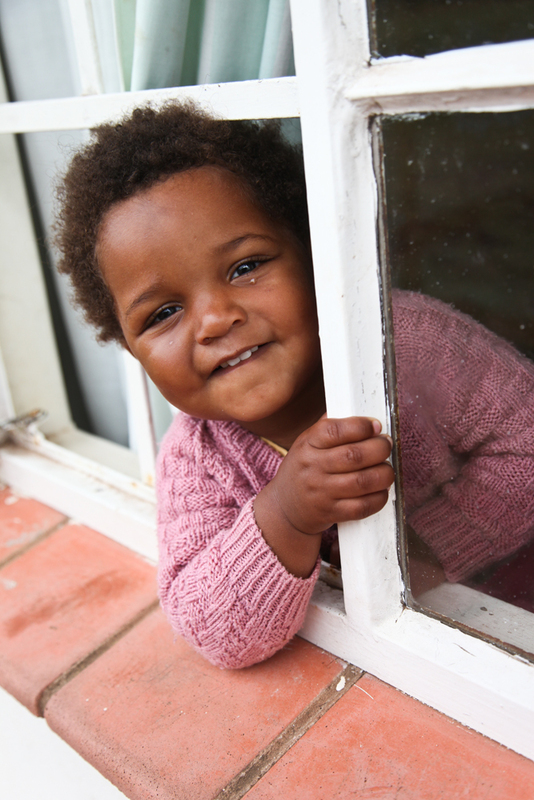 Well, with the hard work and dedication of many volunteers, staff at Lily and also in the associated hospitals and health centres in South Africa, the children at Lily are now much healthier and living longer. In fact, hearing that a child has died at Lily is now a rarity and we all rejoice in this change. However, with this development comes a new challenge in that Lily and the extended Lily family need to prepare these children and young adults for the time that they will leave. We not only want our Lily children to survive, we want them to flourish. This is not an easy thing. 130 children need food and clothes and a solid education to equip them with skills to earn a wage and pay those bills. However, they also need other training and skills like learning how to cook, how to buy a pair of shoes, how to open a bank account. When you live in an orphanage you do not ‘pop to the shops’ or bank with your mother or father, things are brought to you, given to you and there is little insight into how the process of acquiring and working for these things has occurred. So with this in mind, Lily has now developed their school and extended the classes and age groups they teach. Lilyvale School http://www.lov.org.za/our-work/lilyvale-school/ now teaches Grades 1, 2, 3, 4, and 10. They have a dedicated headmaster and teachers who originate from the UK, South Africa and Zimbabwe and it is truly wonderful to see the great work that this dedicated team do. Davinia, who works in marketing, has skills in mentoring and doing workshops and her focus on this trip was to work with the older children at Lily, preparing then for life after Lily. She worked primarily with Grade 10 youngsters who are between the ages of 14 to 21 (yes, 21 years is the oldest ‘child’ at Lily now – an amazing achievement!). She held classes and workshops for the children and I was privileged enough to sit in on a couple of her sessions. For one of them, she asked the class to draw and develop ‘vision boards’. A vision board is where you put all your hopes and dreams on a poster. It’s your vision of what you would like to be, do and acquire in your life and the focus on how you will achieve them then follows. I will always remember the speech that Davinia gave before she talked about doing the vision boards as she spoke about her father and where he came from in Jamaica. How he worked hard to save and travel to England and start with very little to get a job, a home and provide for his family. She explained that whilst he may not have acquired all he had hoped for regarding his life, his vision was not just about himself, but he was thinking of the future for his children and one day grandchildren and now as his daughter, Davinia had received a good education, has a good job and achieved many things in her life all because of his hard work and ambition in taking this initial step. It reminded me of the sacrifices that my parents had made as well and I think it showed the children that success does not begin and end with them, but is an ongoing process for generations to come. The children then set about drawing and developing their vision boards and as I walked around the class, I cannot lie, tears came to my eyes. Some of our children drew fast cars and fancy jewellery and similar luxury items. Others stated that they wanted to become lawyers, businessmen, teachers and one was most specific regarding their future chosen profession and wanted to become a cardiothoracic surgeon! But many of them drew simple houses, with a family outside, their family. Wherever we come from, we seem to all have the same dream – a family a home, a place and people to call our own. I am not sure how it happened but I also got roped into doing some teaching with the older children at Lily. I was asked to do some classes on childbirth and pregnancy and other health-related issues including diet and hygiene. One of my favourite classes was when I taught on the different parts of the body and asked the children to draw where they thought they were but on a live subject called Pete who is a long-term volunteer at Lily. The session on childbirth was also great fun and trying to show the children how women give birth was a particular highlight as I could not show any gory films so used a very willing male assistant from the class. He loved stuffing a jumper under his t-shirt to mimic being pregnant and the actual delivery was an event in itself! It caused a lot of laughter and we all had a lot of fun that day. But not all of the sessions were as joyful. I decided to make the last class with the older children a Q&A session as there were often so many questions asked during the other classes. So I thought that it would be a good idea to let them talk about things that they wanted to know. At the beginning of the session Davinia and I handed out blank pieces of paper and let them write their questions anonymously and we then picked them out of a box, reading each one and addressing the question posed. But the first question that I picked up was, ‘I have a disease that cannot be cured, what will happen to me? Will I live?’. The question just stopped me in my tracks and I was left speechless and stayed silent for a while as I tried to compose myself and then took a deep breath and answered the question as best as I could. I was reminded that teenagers have very different things to worry about and with all of the laughter and joking aside, this is what many of them have to live with every day. A sobering thought and a very difficult reality that needs to be addressed as well. Other questions asked were about cancer, contraception and ‘why is life so hard?’. These children have had to grow up a lot faster than others and this session highlighted and reminded us how much they have been through. The medical side of the team comprised of Jennifer and Mimi, and we were later joined by Ying. They primarily assisted in the clinic at Lily seeing walk-in patients in the mornings and also assisted with the circumcision program that is being rolled out in South Africa. Research has shown that the spread of HIV & AIDS is reduced when men are circumcised so there is a big program to perform as many procedures as possible in male populations in the townships and the take-up has been very good. The team assisted the surgical team that visited from McCords hospital and also did pre-assessment and post-assessment reviews of the patients. They also went out into the community and did ‘head to toe’ reviews of children in local township crèches and picked up a number of newly diagnosed complaints, recorded heights and weights and treated many fungal scalp infections. We also did community visits in the township and reviewed the equipment that had been donated to the clinic and sorted through this checking what would be useful and what had expired. So in short, they were very busy during their time there! Luckily it was not all work and our team were blessed with particularly good weather during their stay and so many an evening was spent sat around the fire pit outside our accommodation sharing life stories and listening to the sounds of Africa all around us as we were staying on the borders of the Tala game reserve. Before we knew it, our two weeks were coming to an end. We had many good times, a few challenges and even more memorable moments that we would carry home with us and keep for years to come. However, as is always our vision and hope, the work with Lily and TWOWEEKS does not always need to stop when volunteers return home. After working with the Lilyvale school and seeing their needs, Davinia returned to the UK and contacted the Pearsons office in South Africa and a consignment of very valuable school books were sent to the school which were much appreciated. This is testimony to the vision that even though a volunteer may work for two weeks at a partner organisation like Lily, things do not have to end there. It can actually be the beginning of another initiative or development of a program to help. The possibilities to help are endless and so we continue on. Once again, thank you all for your help and support and please join us on our mission to raise money for our TWOWEEKS Lily home and for us to continue doing our trips to help the many disadvantaged and needy people in South Africa. John Baylis supported TWOWEEKS by fundraising and making a 2-week trip out to Lily of the Valley in March 2011 and he’s continued supporting TWOWEEKS ever since. John has a background in both hospital and community pharmacy and currently works as a clinical pharmacist in the mental health setting. 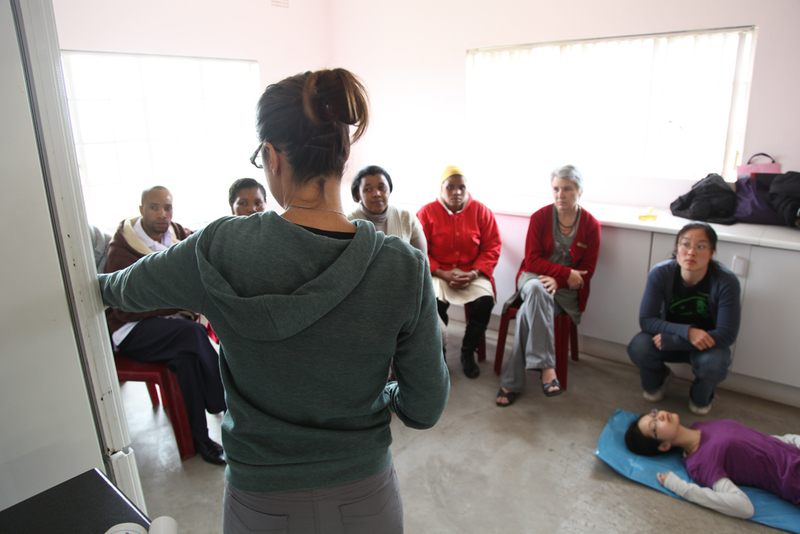 The work his team undertook at Lily last year made an enormous difference to the ongoing healthcare support that TWOWEEKS provides to the local communities in Mophela, South Africa. We asked John a few questions about what motivates him and how he found his TWOWEEKS volunteering experience. No matter which area of pharmacy I find myself working in, I like to focus on providing the best healthcare outcomes to patients. Working as a clinical pharmacist requires good problem-solving skills and the ability to communicate sometimes complex information to other staff, patients or carers. Of course such skills were needed in South Africa where the differences in healthcare provision and available resources meant we had to think on our feet everyday. Tell us about your TWOWEEKS experience. 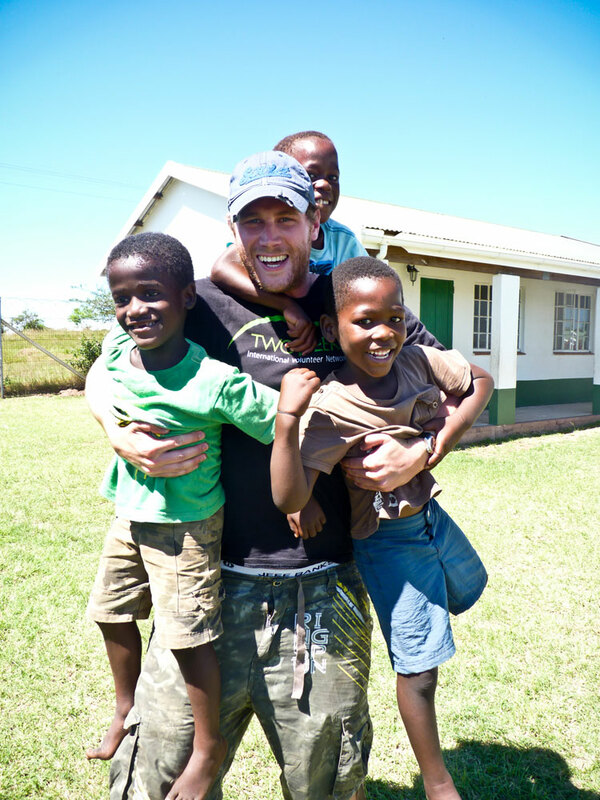 My experience of TWOWEEKS is focused around the two weeks I spent at Lily of the Valley Orphanage and the surrounding community in March of 2011. The important point I took from my experience was to keep in mind (throughout all our work) the underlying principle and philosophy of TWOWEEKS, which is, not to try and change everything in such a short period of time but to leave behind training, education and structure which can help future workers and volunteers build upon the work long term. Two weeks to leave a legacy so to speak. 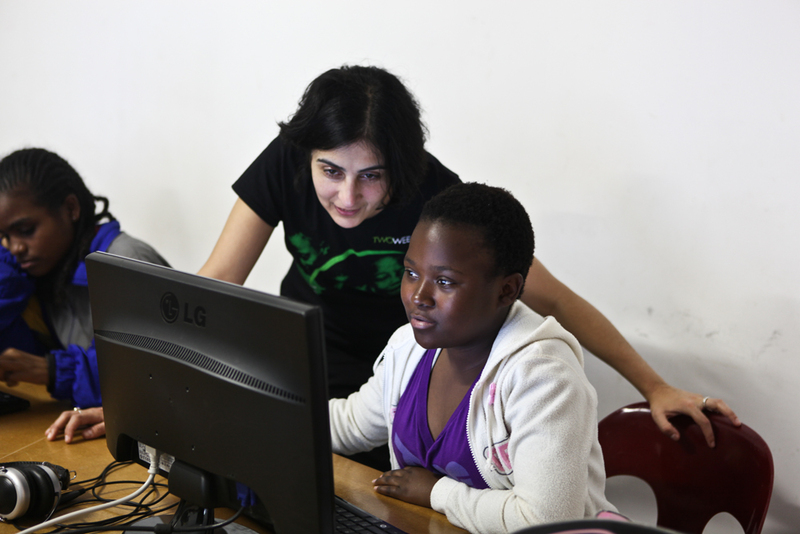 But initially the idea started when a colleague mentioned doing some volunteer work in South Africa. I first went to an introductory meeting with two members of the TWOWEEKS team. The meeting was friendly and informal and put me at ease. I got the impression this was a charity that did not want anything from me other than the skills I could provide for the benefit of others. After discussing some general points and further planning we met again prior to our trip. 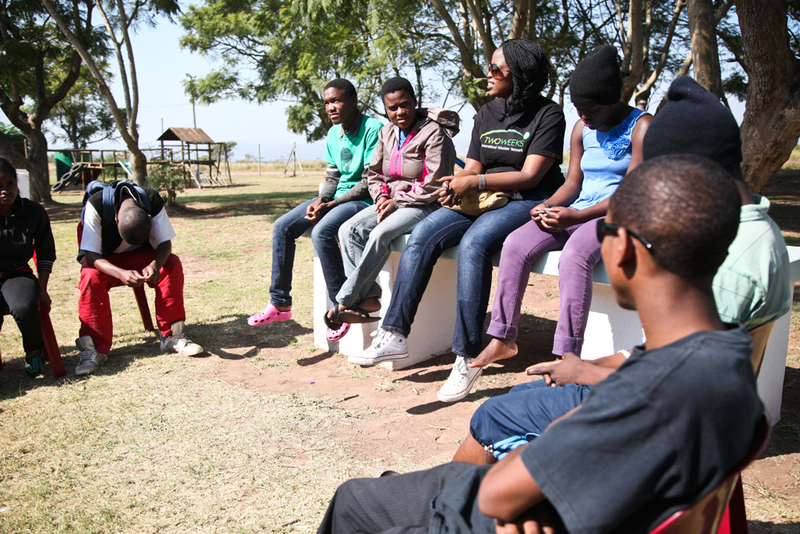 This was to discuss specifics such as timetables, safety, people, places etc and was a great primer offered by the TWOWEEKS team to make sure we knew who to ask, where to go and how to stay safe in South Africa. I felt confident at this point that under the guidance of the TWOWEEKS team we could start to concentrate our efforts away from such ‘logistics’ and focus on the role-specific task at hand. With this in mind, we were somewhat heading down an unknown path. Up until this point TWOWEEKS had never used pharmacists to provide healthcare services at any of its sites or projects, so we didn’t know of how much use we could be. However, in the back of my mind I was confident we could aid Lily of the Valley and the local community by utilising our specific skill-set as pharmacists. When we got to Lily of the Valley, we were shown to our on-site home for two weeks. It was great being situated on the edge of a game park as we shared our ‘back garden’ with many African species. Very early on we were introduced to some of the key members of the Lily of the Valley team; from managerial to healthcare staff and the House Mothers who live in with the children as surrogate mothers or in some cases fathers. The whole team were very friendly and so glad to have us there. Of course we also met the kids. In this we were not given a choice, as on getting out of the 4×4 within the children’s complex, we were immediately mobbed and pressed into playing football, trampolining and generally running around making strange noises and all sorts of things we had not participated in since our own childhood. Our work was largely split three ways. The first area we worked in was the Lily of the Valley Orphanage itself. 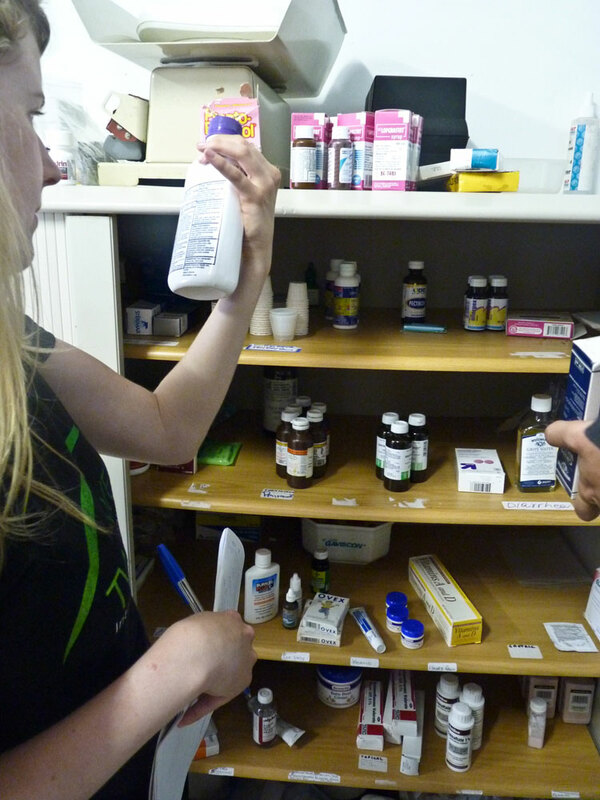 Here we looked at the children’s clinic and the provision of ARV (antiretroviral) medications to the children. We quickly identified some problems, pharmaceutical in nature and set about planning to rectify what we could with limited time. Some of the simpler measures included basic dispensary formularies, storage, disposal and stock rotation. Whilst some of the more advanced interventions surrounded the education of non-healthcare professionals, who were responsible for administration of the ARV medication. It was important to impart the messages of dose timing and adherence to get the best out of the children’s medication and improve clinical outcomes. Our second main area of work was the community clinic. Here we also looked at basic dispensary process and stock issues. We also looked at the potential of the clinic for further expanded use and indeed have recently continued to do so from the UK. The third area was working in the community. Here we were guided around the two local townships by a member of that community and a local nurse based out of the community clinic. We undertook medicines use assessments and clinical medicine checks, for example checking doses, indications, interactions and any problems patients may have had when taking their medications. We found many issues and when appropriate wrote referral letters to local doctors to make interventions in patients’ medicine regimens. One example that sticks in my mind was a young man who had started to experience seizures, despite taking his medication, around twice a week. His mother described the seizures as increasing in severity (increasing the risk of brain damage). The simple intervention, given his current dose, was to make a small stepwise increase until he was rendered seizure-free. So many times it was addressing the basics to make a huge difference. What makes you tick outside of your work and volunteering? I really enjoy mountain biking and am lucky enough to have the South Downs on my doorstep, which provides miles of countryside trails to explore. This helps me keep fit and get fresh air. If I am not feeling active enough (some Sundays!) to get out on my bike, I like to walk in local countryside for the same reasons: sunlight and fresh air! I do find however, that the UK doesn’t hold enough adventure/wilderness for me. 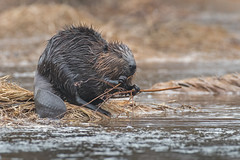 After travelling to Alaska in late 2010, hiking trails, using ATV’s for off-road travel and having a couple of close bear encounters whilst camping, I am keen to go back. My second big passion is target shooting. It is a slightly misunderstood sport and when telling people I am often wary of quizzical or worried responses. This is largely due to public mis-education about firearms for sporting use. Like mountain biking, shooting lets me get outside. I shoot rain or shine; mainly at the home of British shooting, Bisley Ranges in Surrey. Shooting lets me forget the everyday trappings of life as it requires a great deal of skill, knowledge and concentration to place a bullet travelling at over twice the speed of sound into a six-inch circle at 600 yards. I also enjoy drawing and art and play the bass guitar. These hobbies have been somewhat neglected of late! We posted on the blog in April about Connie Lowe’s wonderful fundraising efforts for TWOWEEKS. Well, she ran the marathon on the 22nd of April in an impressive 4 hours 24 minutes and 13 seconds and she had an absolute blast doing it. “Being a first time marathon runner I didn’t know what to expect particularly during the last 10km as I had never run that far before. It was painful towards the last half an hour, I was on the brink of wanting to walk it, but I persevered and ran all the way. 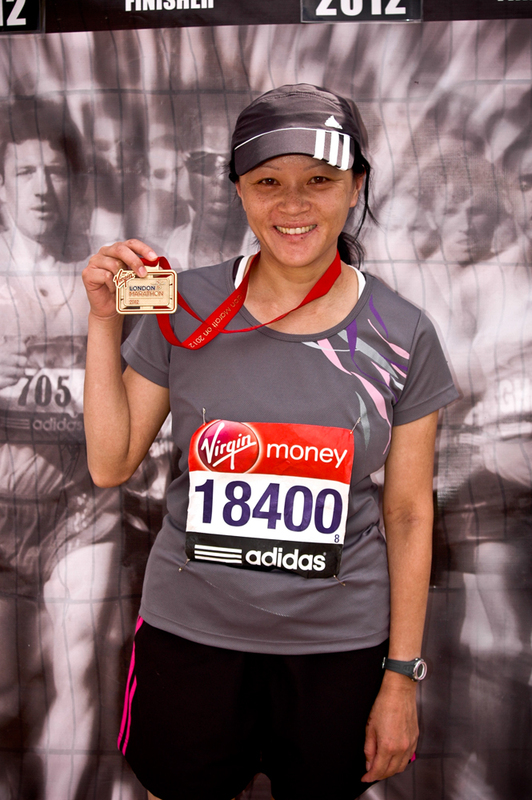 I had a lot of fun, the crowd were very supportive, and it was an amazing experience to run around London and to see all the historic landmarks. Connie is a fantastic example of the type of volunteering and fundraising that TWOWEEKS is always looking for more of so if you’re interested in getting involved, please get in touch. Connie’s fundraising page will be open until September so please lend your support. Every little bit means the world! Every year TwoWeeks sees wonderful people volunteering their time, energy and enthusiasm to help us fundraise. 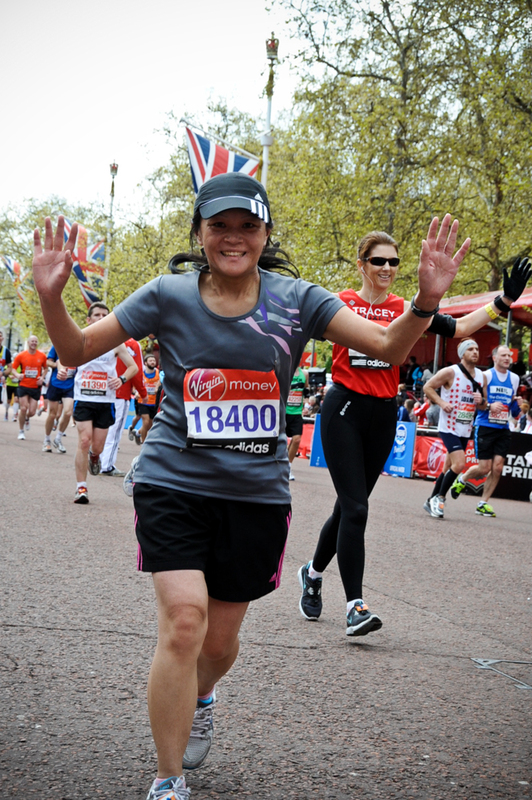 One of our latest supporters is Connie Lowe, who will be running The London Marathon on Sunday 22nd April to help raise money for TwoWeeks. We asked her to share a few words. If you would like to donate to TwoWeeks in aid of Connie’s fantastic commitment then please do so here. I work and live in Auckland, New Zealand. How did you get involved with TwoWeeks? I was introduced to TwoWeeks by a friend who informed me the charity needed a finance volunteer. I went to one of the introduction sessions and was inspired by how people were using their skills and their vocation to help children at the Lily. I have enjoyed my time working as a volunteer for TwoWeeks and I have made some great friends along the way too. How are you feeling about the upcoming marathon? I am excited to be running my first marathon, but instead of running it for personal fulfilment I thought I could use my marathon entry to help somebody or something and TwoWeeks immediately came to mind! To finish the marathon would be a nice personal achievement but to know that someone’s life could be impacted or changed is even more rewarding. 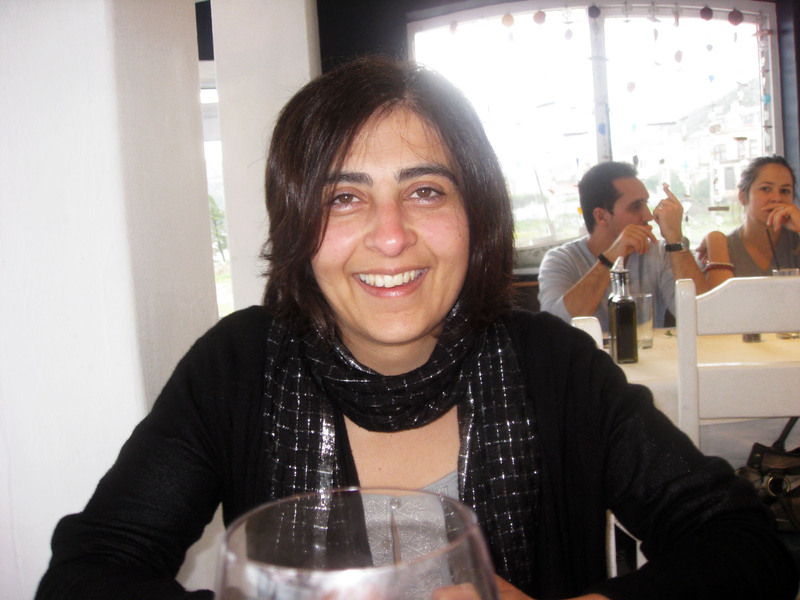 Kamal Patel tell us about how she got involved with TWOWEEKS and why she wanted to volunteer on her recent trip to Lily of the Valley in November, 2011. Kamal also held a ‘housewarming fundraising night’ for us recently and her friends and family generously gave £480 that evening. I have just completed an IT contract at Nomura PLC which is a Japanese bank in London. My background is mainly IT and business skills but I have also taught English as a foreign language both here and in Taiwan over the last few years. I love all sport but especially football and cricket – I used to have a season ticket at Arsenal and still follow their exploits avidly! How did you hear about TWOWEEKS? I met Karen through a friend and she inspired me with the idea of being able to help even if you only had two weeks to spare. The notion of being a cog in the wheel where you come and set up something that someone else could take over seemed make sense – i.e. that a defined realistic piece of work that could be achieved in 2 weeks and handed over to the next person who came along. Tell us about your fundraising night. I thought I would let my friends know about the charity and my plans and having just moved into a new flat I thought it would be an ideal opportunity to promote TWOWEEKS and raise some funds whilst enjoying ourselves. The party would have taken place anyway and as I would have supplied the food and drinks my friends were requested to supply any donations. 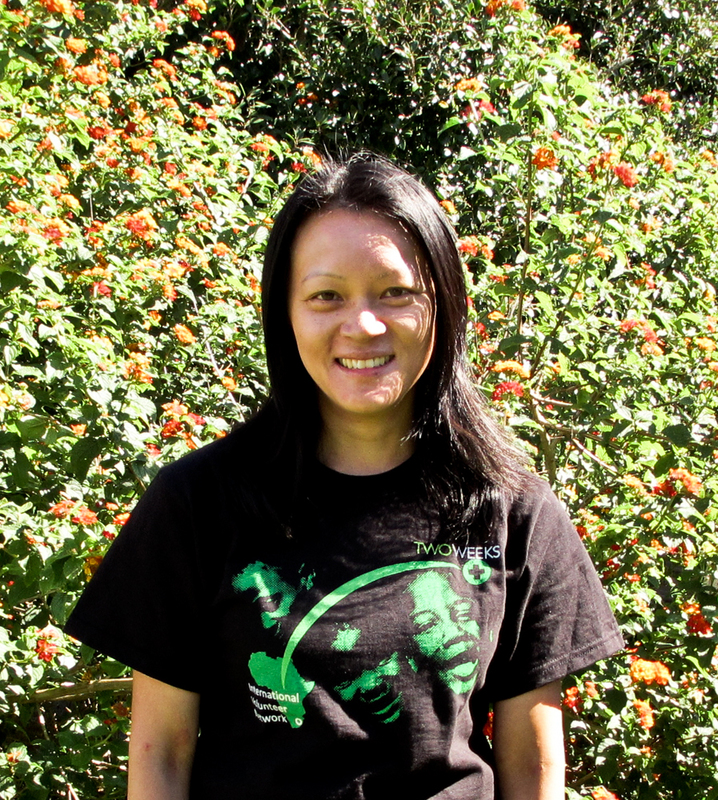 Hi my name is Sarah and I am a pharmacist who visited Lily of the Valley in April 2011. During my trip I fell in love with the kids, the country and the amazing work that TWOWEEKS does. On returning, myself and my fellow pharmacists decided that we wanted to organise a fundraiser for the Lily project. Before volunteering with TWOWEEKS we had climbed Killimanjaro in Tanzania so decided that we would stick with the mountain theme….thus Three Peaks. Three Peaks challenge not only involves climbing the highest peak in England (Scafell Pike), Wales (Snowdon) and Scotland (Ben Nevis) but doing this in a mere 24 hours. You can find out more about the challenge here. This challenge will not only be an amazing achievement but will raise money for TWOWEEKS. This money will go towards building our TWOWEEKS house at Lily of the Valley in Mophela enabling more volunteers the opportunity to offer their skills with the added possibility of a medical elective programme being initiated in the near future. This medical elective programme is something that we at TWOWEEKS are very excited about as it will mean a constant medical presence at the Lily clinic and the elective students will hopefully bring some money to Lily which will be used to improve the level of care offered at the clinic. Rather than collecting money off people we will be setting up a Virgin Money Giving page enabling donors to pledge money online. Details of this will follow. Someone has kindly agreed to provide us with a minibus so now all we need is 2-3 designated drivers who are not competing and some willing volunteers. The provisional date for the challenge has been set for June 30 2011 and we will endeavour to organise a training weekend although being such a potentially large group all of us with busy lives people will need to organise their own training and ensure that come June they feel they are fit enough. We won’t be asking for people to commit until March for the time being we are just seeing who is interested. For the time being I would recommend having a look at the website if you’re interested and begin some light cardio training such as walking, jogging, cross trainer etc. If you have not yet expressed interest then please drop me an email (below) so I can add you to my mailing list and then you will receive the regular newsletters. We are hoping to find some people that have completed this challenge to come along to a meeting one night so if you know anyone that’s done it and wouldn’t mind giving up an evening to share their wisdom and top tips then let me know. 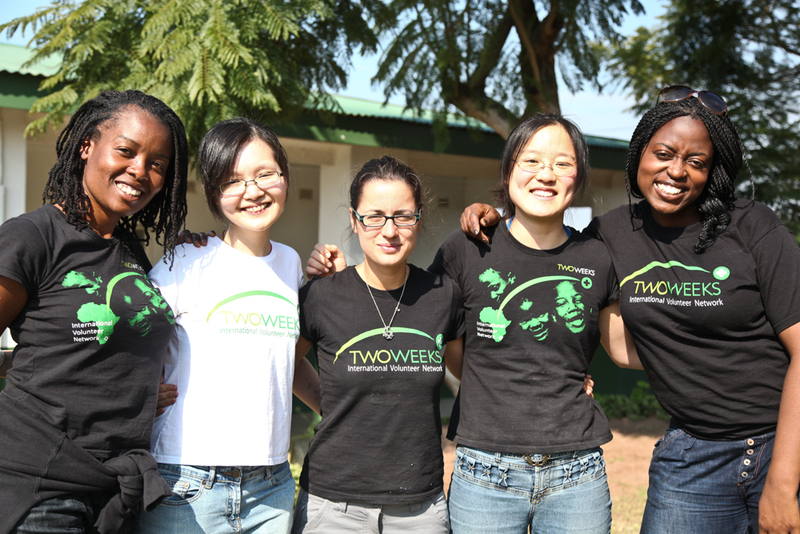 TWOWEEKS is an organisation that enables people to volunteer on a short term basis, for a minimum of two weeks.